Florida West Economic Development Alliance announced this week that Pensacola was selected to join the Inclusive Development Network, an initiative designed to find ways to jumpstart economic opportunity in struggling communities. Workers either aren’t getting those skills from their traditional education experience or don’t realize that they might be getting them in their current job. About 90% of corporate respondents in a 2018 Bloomberg Next survey said new recruits have the hard skills, such as computer literacy and written communication, to do their jobs successfully. But nearly half of the respondents also said that new hires lack the soft skills they need to perform at a high level. The economy is booming and unemployment is low, “but many Americans are still being passed over for promotions because they lack the requisite skills and credentials,” said Rebecca Klein-Collins, author of the book. The Council for Adult and Experiential Learning (CAEL), today announced the launch of the Inclusive Development Network, an ambitious new initiative designed to advance inclusive workforce development within their regions through a focus on reaching underserved populations. Cleveland, Ohio; Corpus Christi, Texas; Spokane, Washington; Coweta, Oklahoma; and Pensacola, Florida, were selected from more than 35 applications for the Network's first cohort of communities. Your choice of school and course of study will depend on whether you are pursuing a certificate or degree, or just taking classes to enrich your life. You may be looking to stay competitive in the workforce and gain more expertise in your current field, which would require a more specialized school or docket of classes. Or maybe you’re looking to start exploring new interests for your own enjoyment. A study recently released by the Urban Institute and ProPublica found that over half of all workers past the age of 50 have lost jobs through forced resignations or layoffs, resulting in serious financial setbacks to the individuals.This alarming study counteracts the popular narrative that those in their 50s have “made it” and can choose when they retire. This bias against older workers occurs outside the United States as well. In a survey of companies around the globe, Deloitte Consulting found that 20% viewed an aging workforce as a competitive disadvantage. Talent leaders should also consider organizations such as the nonprofit Council for Adult and Experiential Learning. From developing career pathing software, to creating career and education advising programs for employees, to targeted consulting, CAEL works with companies across all industries to help them maximize their investments in learning and talent management. The number of adults who might want to go back to college is huge. In Washington state, about one in five working-age adults — or nearly 400,000 former students — has earned college credits but didn’t complete a credential, according to the Washington Student Achievement Council, a state agency that has put a priority on helping more adults complete a degree or credential. “Never Too Late: The Adult Student’s Guide to College” offers practical advice to adults returning to college, with ideas about how to pick a new career, college programs that allow graduates to qualify for that career, and ways to pay for it. Over two years, EmployIndy will be allocating its grant funds to serve more than 150 dislocated workers throughout Marion County. This will be made possible through career assessment systems, growing local apprenticeship programs, and utilizing career pathway toolkits created in partnership with the Council for Adult and Experiential Learning (CAEL). These days, Brookings, taking a cue from the Council for Adult & Experiential Learning (CAEL), is advocating Lifelong Learning Accounts (LiLAs), developed by CAEL and modelled on tax-advantaged college tuition savings plans; and, like 401(k) retirement accounts, LiLA accounts could get matched by employers and other third parties. CAEL has had success creating LiLAs in several states, including Illinois. Traction is there to be gained. “Find a college that really understands who you are at this stage in your life and doesn’t make you try to apologize for who you are at this stage in your life,” she said. On November 27, 2018, California’s Little Hoover Commission released a report titled Artificial Intelligence: A Roadmap of California. The Little Hoover Commission is a well-respected, non-partisan, and independent state oversight agency with a mandate to help improve the effectiveness and efficiency of state government. To help achieve these workforce goals, the Commission stated: "The state can partner with non-profit organizations to establish better online portals for access to skill assessments, training resources and job search tools, such as the Council for Adult and Experiential Learning (CAEL). California also actively notify workers once they apply for unemployment insurance that they qualify for unemployment insurance benefits if they participate in approved training. Provided it could expediently implement workforce training and retraining policies, the state should prioritize collaborations with stakeholders." The study was conducted by analytics software company Burning Glass Technologies and the Council for Adult and Experiential Learning (CAEL). More than 125 local representatives participated in focus groups to gather insight on Greater Birmingham’s current economic situation. More colleges have begun to focus attention and resources on older students. Now the students themselves are getting some added help. In cooperation with The Washington Monthly and a team of writers associated with the Council for Adult and Experiential Learning, the New Press has just published Never Too Late: The Adult Student's Guide to College. Unlike my recent report, "The Adult Student," which focused on helping colleges and policy makers improve their services to older students, the book is aimed directly at the students. It features state-by-state rankings of colleges based on the same criteria the magazine uses to produce its "Best Colleges for Adults" listings. Among them: ease of transfer, loan-repayment rates, and earnings of graduates. I'm glad to see this kind of guide on the market. It's yet another marker of the importance for colleges to serve this vital population. Designed to address the needs of underrepresented, nontraditional college students, most of whom have full-time, low-wage jobs, College Unbound caters to adults with some college credit but no degree. Focusing on each student’s unique talents and interests, Littky’s innovative formula seems to be working: The Providence, Rhode Island–based school currently enrolls around 200 students, 80 percent of whom graduate, says Littky. As a high school dropout, Rashaan J. Green from Ellicott City, Maryland, had to overcome multiple barriers to pursue higher education. Now a successful IT professional with his master’s degree, Green was recognized for his achievements at the annual conference of the Council for Adult and Experiential Learning (CAEL) in Cleveland, Ohio, as the 2018 Adult Learner of the Year. There are hundreds of books about picking the best college. But let's face it: Most of them are written for high schoolers. In reality, 40 percent of college students are 25 or older — well out of high school — and many have kids, full-time jobs or both. (We've written about this before.) Now, a new book by Rebecca Klein-Collins offers advice and guidance for the adult student looking to go to college. CAEL President Marie A. Cini penned an op-ed recently about how local and regional economies across the country experience the skills gap and contend with the issues it presents. Read the snippet below, and visit The Hill for the full story. This week, the U.S. Bureau of Labor Statistics announced that the unemployment rate is at an historic low of 3.7 percent. Still, U.S. job openings remain at an all-time high of 7 million. While the headlines are dominated by the narrative that our nation’s skills gap is due to a lack of qualified workers for high-tech fields like web development and data science, this only tells a portion of the story. Some job vacancies are due to a scarcity of highly skilled workers, while other vacancies are due to a scarcity of middle-skilled or even low-skilled workers. When unemployment is low, it can be hard to fill any position, across any sector. With the National Center for Education Statistics predicting the enrollment of adult learners to grow by 20 percent from 2012 to 2023, Prior Learning Assessment (PLA) has shown to be an effective method to provide students with college credit for lessons learned outside the classroom. Under the program, a comprehensive PLA Portfolio will allow students to earn 15 credits at the cost of three credits. The University will partner with the Council for Adult & Experiential Learning (CAEL), a national expert in PLA, for technical support and training. Complete Tennessee has joined top education and workforce development stakeholders in launching a new, interactive “Tennessee Work Learn Earn” website designed to raise awareness of career and education opportunities in Tennessee. Developed in partnership with the Council for Adult and Experiential Learning, the Bill & Melinda Gates Foundation, the Tennessee Higher Education Commission and the Tennessee Department of Economic & Community Development, the website provides information, tips and resources to help connect students and career-seekers with relevant education and job opportunities in Tennessee. Complete Tennessee Executive Director Dr. Kenyatta Lovett said the website will help students get guidance and support in order to pursue postsecondary programs. CAEL President Marie A. Cini agreed, saying her organization is dedicated to expand opportunities for success in learning, employability and career success. “We believe that Work Learn Earn is the perfect resource for highlighting local higher learning opportunities that will help Tennesseans earn the education they need to remain competitive,” Cini said. Archways to Opportunity has a new suite of career advising tools as well, and the “Where You Want To Be” campaign will serve to highlight them. Together with longstanding Archways education partner the Council for Adult and Experiential Learning, McDonald’s aims to improve employees’ experience with career pathing solutions to better position them for long-term career success, the company said. Earlier this year, Dallas-based Paul Quinn College had some big news: It would be expanding its Urban Work College Model for the first time ever with a new location in Plano, Texas. This week, that announcement came to fruition, as PQC-Plano was awarded its first major investment in the form of a $1 million grant from the Indianapolis-based Strada Education Network. Over the next two years, Strada’s grant will go toward establishing the new expansion site, blazing a trail for what Paul Quinn hopes to be a nationwide network of campuses with this same concept. Marie Cini, president of the nonprofit Council for Adult and Experiential Learning, welcomed the experimental college (Foundry College). It’s not enough to increase Latino college and university enrollment or graduation numbers; higher educators need to prepare the ever-expanding young Latino population for the rest of their lives, states a report released Tuesday. With 65 percent of Latino college undergraduates attending federally recognized Hispanic-Serving Institutions (HSI)—their student body is at least 25 percent Latino—it's critical to see how well those schools are doing to prepare the young Latino population for college, according to the report by Excelencia in Education, Strada Education Network and Gallup Inc. Educators and members of the buisness community in Alabama's Shelby County gathered at First Baptist Church of Columbiana on Tuesday, September 18, to learn the results of a study that provides insight into employment and workforce trends in the seven-county Birmingham metropolitan area. Gus Heard-Hughes, vice president of programs for the Community Foundation of Greater Birmingham, presented findings from the Building (IT) Together study by Burning Glass Technologies and the Council for Adult and Experiential Learning, which consisted of an economic development and labor market analysis examining issues, opportunities to grow jobs and economic prosperity in the greater Birmingham region, which includes Bibb, Blount, Chilton, Jefferson, Shelby, St. Clair and Walker counties. Hughes said the region needs to act now in order to see growth and change. Reps. Conor Lamb (D-PA) and Elise Stefanik (R-NY) recently introduced the Military Learning for Credit Act, which would help veterans obtain college credit for prior military learning and training. The Military Learning for Credit Act would ensure that all veterans, regardless of the program through which they receive their benefits, could designate a portion of their benefits to cover these costs. The Council for Adult and Experiential Learning found that students who receive credits for prior learning are two and a half times more likely to graduate than students who do not. The bill may also decrease the amount of time it takes some student veterans to earn their degrees. Deborah A. Santiago, who heads up Excelencia in Education, an organization seeking to improve educational outcomes for Latino students, has been working for the past few years to improve colleges’ outreach and service to Hispanic adults. Last week, those efforts paid off. Her group and the Council for Adult and Experiential Learning jointly announced a new program that will help 15 Hispanic-serving institutions examine how well they’re serving adults and share the research and findings. Three nonprofit groups — Great Lakes Higher Education Corporation & Affiliates, the Kresge Foundation, and the Greater Texas Foundation — are putting up $2.5 million to cover the costs. More Latinos are graduating from college than in years past, but a gap persists between Latino and white graduation rates: about 32 percent of Latinos graduate from college in four years compared with 45 percent of white students, according to the National Center for Education Statistics. The Council for Adult and Experiential Learning and the Latino student advocacy group Excelencia in Education have joined forces to introduce an initiative this academic year to shrink this gap by helping working, adult students. Called the Adult Learner 360 Academy for HSIs, the three-year project will assist 15 Hispanic-serving institutions (HSIs). The colleges will use a diagnostic tool from the council that collects feedback from students, faculty and staff, and identifies where schools can improve their resources for adult learners. 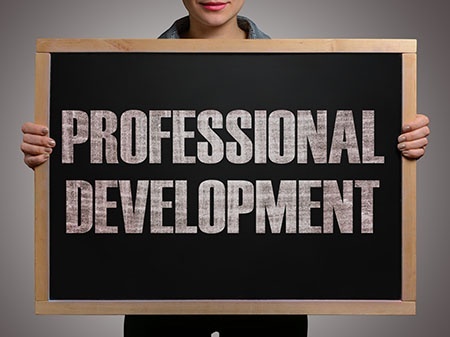 The council will also provide professional development for the participants’ staff members, as well as research that the schools can consult as they change their learning environments. The University of Wisconsin-Parkside, Florida International University and West Lost Angeles Community College are among the 15. The surveys will be launched by Oct. 15, and the council expects to have results by the end of the year. Despite the benefits, many perceived hurdles stand in the way of adults interested in returning to school to further their careers through more advanced degrees. The cost and time commitment of career development are commonly cited as excuses for career stagnation, but none of these are insurmountable when it comes to the pursuit of higher education. To overcome such misconceptions, the nonprofit Council for Adult and Experiential Learning (CAEL) engages professionals, schools and employers to promote adult higher education and to emphasize its importance for a robust workforce. Work experience, previously earned college credits, tuition reimbursement programs, and flexible courses and programs can all help ease the burden of achieving a degree. With the right guidance and motivation, adult learners are able to enhance their value, advance their careers and boost their earning power. As a University of North Georgia (UNG) freshman, Halee Stone knows she wants to work in the health care field, but is not sure which profession to pursue within the industry. To find a possible answer, Stone attended the inaugural Regional Education and Economic Development (REED) Summit at the Convocation Center on UNG's Dahlonega Campus. Presented in partnership with Northeast Georgia Health System, the REED Summit connected prospective and current college students who want to work in the health care industry with an array of career opportunities in that field and exposed them to educational pathways and industry professionals. The REED Summit included speakers from the private and public healthcare industry as well as panel discussions from experts. For example, Joel Simon, executive vice president from the Council for Adult and Experiential Learning, spoke during the lunch break about abilities to connect industry with partners and students for the public's well-being. "We work with communities and groups like this to try and develop a plan that is bigger and better," he said. Pamela Tate is the Chief National Partnerships Officer for Strada Education Network. Prior to that role, she served as President of CAEL. She is recognized for the work she has undertaken in the higher education, public and private sectors to make it easier for adults to get the education and training they need to succeed. The Learning House caught up with her after her session at Connect 2018 to learn more about the challenges adult students face. What do you consider the greatest barrier that keeps an adult learner from earning a degree? The three biggest barriers mentioned in surveys are lack of time—due to family, work, community obligations; lack of money; and then lack of confidence. Just not believing that I can do it, not thinking I’m a college student, really. Not believing in myself. That’s a huge issue for students. They entered the program with the confidence that they could graduate. What do you think causes this crisis of confidence? Once they’re there? They’re dealt with from a deficit model mindset (a term introduced to people at Connect 2018 by keynote speaker, Karen Gross, meaning the tendency to focus on a student’s weaknesses, not their strengths). You know, “this person doesn’t have these things.” And so, it doesn’t build their confidence; it often erodes their confidence, especially if they’re in a program with students who they see to be right out of high school and traditional and who have an easier time of it than they do. They find that difficult. Also, testing is a real challenge. People are afraid of tests, and they often were unsuccessful in their last attempt at schooling. And, of all the things you ask people about, it’s tests that do people in. They often know more, but they get so upset having to take a high-performance test of some kind that they just freeze up. Testing is an enormous challenge and barrier for adults. They tend to view them as a measure of “the whole me.” They cannot see that the test is not a judgement about them and whether they have ability. Springtime in higher education meant commencement season, and that generally brings to mind 20-somethings in caps and gowns marching to “Pomp and Circumstance.” At Pace University, we had several ceremonies like that, across our campuses, and they were great events, happy and memorable. But perhaps the most inspiring commencement ceremony was for students graduating from our online education programs. These students tend to have families and careers, responsibilities well beyond coursework and exams. But they’re motivated to complete their degrees, and their stories are moving. Several dozen made it to our lower Manhattan campus for their graduation. They came from all over the country, some with children, a few stepping onto a college campus for their first time ever as a student. Their stories remind us of the important role high-quality online education, following a rigorous curriculum and tied to an educational institution, plays in educating underserved communities. And they highlight the importance of finding ways to make education accessible to all students—of all ages, in all locations, on all schedules, to help those who are seeking new skills, transitioning to new careers, or otherwise working hard to make themselves better-prepared employees. Our online education program for telecom workers is a partnership between Pace and NACTEL, a consortium of telecom companies and unions, and administered by the Council for Adult and Experiential Learning. The results have been impressive, with more than 1,800 associate, bachelor’s, and master’s degrees awarded since 2001. As I discovered at commencement, the students are a remarkable bunch. Should working learners get a tax break? Lifelong Learning and Training Accounts are a proposed response to the changing nature of work. The number of people reliant on freelance work for their livelihood continues to grow; so do predictions that robots and artificial intelligence will take away jobs. It’s an environment in which “upskilling” and “re-skilling” seem to matter more than ever before. To help people do that, Alastair Fitzpayne and Ethan Pollack of the Aspen Institute’s Future of Work Initiative propose the creation of savings accounts to which low- and middle-income workers could each contribute up to $2,000 a year on a pretax basis, as with an IRA. Employers could also contribute, and they would get a tax break too. But the individuals would control the accounts, not their bosses. Account holders could use the money not just for trendy coding schools but also for training in growing fields like health care and advanced manufacturing. This concept isn’t new. Other countries have done it. Goldie Blumenstyk even highlighted a previous U.S.-based experiment in “The Adult Student,” a report she wrote earlier this year. That trial was conducted in the early 2000s by the Council for Adult and Experiential Learning. A new report takes a deep dive into metro Birmingham’s workforce and lays out a plan to align education, economic development and workforce development efforts, with an ultimate goal of increasing job growth in the region. The ambitious report, called “Building (It) Together” was developed by Burning Glass Technologies and the Council for Adult and Experiential Learning. It was funded by partners in the Bold Goals Coalition of Central Alabama, including Birmingham Business Alliance, Central Six AlabamaWorks, the Community Foundation of Greater Birmingham, United Way of Central Alabama and UAB. Other lead partners include Alabama Possible, Innovate Birmingham and Jefferson State Community College. The seven-county Birmingham region is growing at half the rate of its surrounding metropolitan areas, and sees almost half of its homegrown talent leave after graduation. But over the next decade, the area will need workers trained in information technology and financial operations, and future jobs will require more college and certified degrees.That's the verdict of a report released today by the Bold Goals Coalition of Central Alabama's Workforce Action Network. Its release is the launch of a public engagement campaign officials are starting to spur an alignment of education and workforce training for economic development. "Building (it) Together: A Framework for Aligning Education and Jobs in Greater Birmingham," was developed by Burning Glass Technologies, a labor market analytics firm, and the Council for Adult and Experiential Learning (CAEL), an adult learning non-profit. Developed in collaboration with CAEL, the I-86 Innovation Corridor Integrated Workforce Development team has unveiled a new strategic plan to bridge workforce gaps. The Council for Adult and Experiential Learning has named Marie Cini, former provost of the University of Maryland University College, to succeed the group's longtime president and chief executive officer, Pamela Tate. Cini, who served most recently as the higher education lead for a project to modernize the Servicemembers Opportunity Colleges, will lead CAEL, which focuses on employer-education partnerships and helping institutions support adult students. About 90 advisors from Tennessee’s community and technical colleges convened in Nashville to improve their skills in advising adult learners, thousands of whom are expected on campuses when the expanded Tennessee Reconnect program goes into effect with this year’s fall semester...presenters included experts from the Council for Adult and Experiential Learning, a national nonprofit working to make it easier for people to get the education and training they need. The Council for Adult and Experiential Learning joins InsideTrack, Roadtrip Nation, College Confidential, DXtera Institute, Education at Work and Student Connections as affiliate members of Strada. CAEL has been developing apprenticeship training models that also incorporate online learning for a hybrid model that offers accelerate learning and allows students to become an RN is less than two years. CAEL is using an award from the U.S. Department of Labor to implement pilot programs in Illinois, Maryland, Texas, South Dakota and Washington. In November, ECMC Foundation's director of career readiness Jennifer Zeisler spoke on a panel at CAEL's 2017 Conference, "Higher Education Funders: A look at Things to Come." Here's a recap of her thoughts. Just as PNC found itself lacking when held up to a 10-year projection, the Allegheny Conference held up a similar-type mirror to its 10 counties with “Inflection Point: Supply, Demand and the Future of Work in the Pittsburgh Region,” prepared by Burning Glass Technologies and The Council for Adult and Experiential Learning. The report, released in May 2016, was a wake-up call to employers, educators and civic leaders. The Council for Adult and Experiential Learning (CAEL) has named Western Governors University (WGU) as the recipient of its 2017 Institutional Service Award. The award, which recognizes institutions that have provided outstanding programs and services for adult learners, was presented at the 2017 CAEL Conference in San Diego. "Adult students often know stuff for which they don’t have academic credit... But giving them credit for what they can document is often a lot harder than it sounds," . According to research from CAEL, students earning prior learning assessment credit take an average of 9.9 more course credits than their peers and are 2.5 times more likely to graduate. Latino students, a major demographic in the Central Valley, are 7.5 times more likely to graduate when earning such credits. Finding workers for local manufacturing jobs is a challenge, workforce strategists said this week. James Reddish, workforce development strategist with the Council for Adult and Experiential Learning, suggested that the next step would be to take an inventory of educational and labor resources in the area. CAEL's latest report presents the findings of our LearningCounts study, which examined the enrollment patterns and degree completion of former LearningCounts students as reflected in data available through the National Student Clearinghouse, supplemented by the perspectives of the students themselves through survey responses. Online degree programs work particularly well for adult learners, who need flexibility to fit their educational goals into work, family and other commitments, said Jennifer Groh, associate vice president of higher education for The Council for Adult and Experiential Learning. "The more effective models are those that incorporate faculty engagement and an effective process for assessment of learning outcomes," she said. "Other considerations for online program models -- and any program serving adult learners -- is its affordability and relevance to post-completion outcomes." CAEL's Becky Klein-Collins, associate vice president, research and policy development, spoke with Washington Monthly to share her thoughts on Texas A&M University–Texarkana's innovative approach to prior learning assessment. The “Forever GI Bill,” which contains several provisions to help modernize GI education benefits, was signed into law last week as the Harry W Colmery Educational Assistance Act of 2017. CAEL is a proud supporter of this legislation, advocating for its passage and encouraging our partners to do the same through our higher education networks. McDonald’s has joined the large number of companies that pay for employees to attend college, with a relatively new tuition assistance benefit that includes some unusual features. McDonald’s said it included the advising portion of the program to help employees make decisions about college and a career. CAEL offers that service at no cost to McDonald’s employees. The company pays the nonprofit CAEL for advising, not referrals. “There’s no benefit for us to advise them in one direction or another,” said Lynn Schroeder, CAEL’s vice president for client relations. "Financial Aid for Prior Learning Assessment: Early Successes and Lessons from the U.S. Department of Education’s Experimental Sites Initiative" highlights experiences and successful results of the experiment so far, in addition to assessing how this new application of federal financial aid might be best supported if available nationwide. In its latest thrust at the skills gap, JPMorgan Chase has announced BankingOnMyCareer.com. Dubbed a “career exploration tool,” the website introduces New York-area jobseekers to opportunities and relevant skills in the financial services industry. CAEL was also a key partner on BankingOnMyCareer.com, providing implementation support for the project. On Wednesday, JPMorgan Chase and CAEL unveiled BankingOnMyCareer.com, seeking to help New Yorkers find "middle-skilled" financial-services jobs. Such jobs typically require a bit more training than a high-school diploma and a bit less training than a bachelor's degree. According to a news release, 7,500 of these jobs are open in New York City. Today, CAEL and JPMorgan Chase & Co. unveiled a new, online interactive career exploration tool called BankingOnMyCareer.com linking New Yorkers to middle skills financial services jobs, those requiring more education and training than a high school diploma but less than a four-year college degree. New York’s labor market for such jobs has grown by six percent since 2010. This interactive offers a powerful job matching tool, career maps, detailed job descriptions and industry information to help middle skilled users a chance to get their foot in the door in the financial services industry and establish long term, good-paying careers. Now is the best time for higher education and its accreditors to invite a dialogue with United States Education Secretary Betsy DeVos about accreditation and quality oversight of higher education. While her appointment generated controversy because of her views on K-12 schooling, her position on colleges and universities is just emerging and perhaps not yet fully formed. CAEL's Valerie Delleville provides a look at how Texas A&M Texarkana has fostered a robust prior learning assessment (PLA) culture. CAEL has created Standards for Assessing Learning so that institutions can accurately assess and offer credit for students’ prior learning, whether it took place in a classroom or on the job.There’s supporting evidence underscoring this effort: CAEL’s Fueling the Race research study showed that students who earn credit for their prior learning are two and a half times more likely to persist to completion. 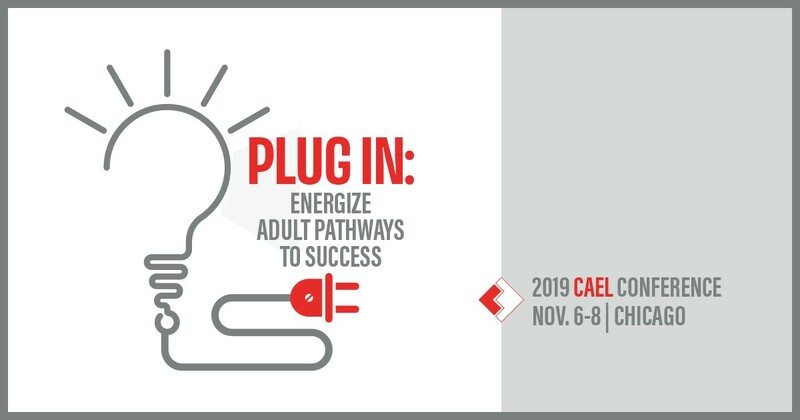 CAEL is bringing its Adult Learner Academy workshops to Philadelphia from August 1-3 at Orleans Technical College. The Philadelphia Adult Learner Academy will be offered in partnership with The Council for Accelerated Programs (CAP), a membership organization that serves professionals who lead, teach and conduct research in accelerated programs in higher education. Many companies have long recognized the value of helping their employees reach their personal and professional goals through tuition reimbursement programs, which are a win-win for both employer and employee. Employees sharpen the learning and skills needed to advance professionally, and employers benefit from a more skilled workforce with access to a deep pool of talent. The Council for Adult and Experiential Learning (CAEL) has launched a tool that allows colleges and universities to measure their support of their adult students. Adult Learner 360 compares the institutions' effectiveness against adult students’ perceptions using two surveys: one that captures the importance and effectiveness of the institutions' activities, policies and practices, and one that measures the satisfaction of the adult learners. CAEL will provide unparalleled insight into the financial services industry to New York Metropolitan area job seekers through a new highly interactive career exploration tool called BankingOnMyCareer.com. Funded by JPMorgan Chase & Co. as part of its commitment to strengthen the middle skilled workforce this custom-built career exploration tool will draw from the rich industry and workforce development experience of a breadth of partners. How Can Administrators Approach the Needs of Adult Learners on campus? The Council for Adult and Experiential Learning recently shared with Education Dive the need for higher ed institutions to more effectively address the unique learning styles of older, non-traditional students. Adult Learner 360 compares colleges and universities’ effectiveness against adult students’ perceptions. The tool, informed by CAEL’s decades of experience assisting colleges and universities in meeting the needs of adult learners, is based upon two surveys: one that captures the importance and effectiveness of the institution’s activities, policies and practices, and one that measures satisfaction of adult students. Results from CAEL's Adult Learner 360 will help colleges and universities serve the rapidly growing population of adult learners to improve rates of enrollment, persistence and completion. To further its vision of providing meaningful learning, credentials and work for every adult, the Council for Adult and Experiential Learning (CAEL) has launched a powerful new way for colleges and universities to measure and improve their support of its adult students: Adult Learner 360. It’s hard to believe that in today’s technology-driven culture there is a shortage of people interested in high-tech careers. With jobs in computing growing at twice the rate of other types of jobs, and virtually everyone hyperconnected through tech devices, one would think this would translate into career interest. Can Higher Ed Fix Economic Anger? If the Anger that Propelled Trump's Win is Economic, Can Higher Education Fix It? Washington Monthly Established List of "America's Best Colleges for Adult Learners"
Policies that limit student aid to adults who are going to college need to be changed. While the United States struggles to encourage older Americans to enroll in college, Sweden hasn't. 100 employers commit to help millions of front-line workers climb up the career ladder. Starbucks announced Monday that it is doubling the size of its program. If you're looking for a great career with a two-year degree, Joel Simon has a piece of advice. In Illinois and beyond, the manufacturing industry requires highly skilled workers. Not only should organizations lend a hand financially, but they should also advise employees. Many working adults are highly motivated to return to college. Prospective students should compare program costs and make sure they can get financial aid. Cincinnati Children’s Hospital supports nurses working and taking college credits. CAEL’s Pamela Tate discusses their mission to remove barriers to adult education. Invest in your staff. Click here to learn more.